VIVACE is located at 19 TONG WATT ROAD in district 09 (Leonie Hill, Orchard, Oxley) of Singapore. VIVACE is a 999-year Leasehold Condo development consisting of 84 units. VIVACE is completed / TOP in 2012 (estimated), developed by HERITAGE @ TONG WATT PTE LTD.
Educational institutions like CHATSWORTH INTERNATIONAL SCHOOL (ORCHARD), ISS ELEMENTARY & MIDDLE SCHOOL, JEWELLERY DESIGN & MANAGEMENT INTERNATIONAL SCHOOL, RIVER VALLEY PRIMARY SCHOOL, ST. MARGARET'S PRIMARY SCHOOL and ANGLO-CHINESE SCHOOL (JUNIOR) are near to VIVACE. VIVACE is accessible via nearby FORT CANNING, CLARKE QUAY and DHOBY GHAUT MRT Stations. Beautiful city living with lots of amenities. Vivace is a 999-year leasehold development located at 19 Tong Watt Road, Singapore 238011, in District 09, minutes away from Clarke Quay MRT Station. It will be completed in 2015 with 10 storeys and 85 units. Vivace is close to Fort Canning Park and the nightlife district of Clarke Quay. Facilities at Vivace include swimming pool, spa pool, BBQ pits, 24 hours security, basement car park, and gym. A few feeder bus services are available near Vivace. Schools are mostly a short drive away, such as the Singapore Management University and Chatsworth International School. Vivace is also within walking distance to the stretch of restaurants located at Mohamed Sultan Road and River Valley Road. Residents can head down to UE Square and Robertson Walk for amenities such as supermarkets, restaurants, eating establishments, and other shops. For vehicle owners, driving from Vivace to either the business hub or the bustling Orchard Road shopping district takes less than 10 minutes, via River Valley Road. Vivace is a 999-year leasehold development located at 19 Tong Watt Road, Singapore 238011, in District 09, minutes away from Clarke Quay MRT Station. Just TOP with 10 storeys and 85 units. 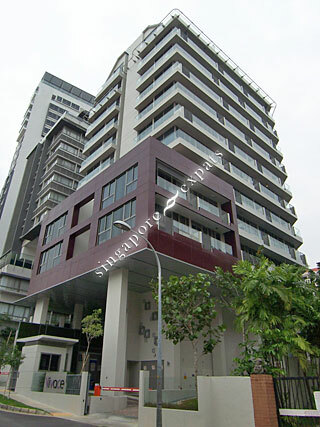 Vivace is close to Fort Canning Park and the nightlife district of Clarke Quay. really near to somerset & University of Chicago (Singapore campus). A lot of restaurants and eateries. Very convenient !